Santa Cruz is located in the Colchagua Valley some 110 miles from Chile's capital, Santiago. With a population of just over 30,000 this municipality was formally established in 1891 and has traditionally been an agricultural centre; the local economy has long been focused around wheat, tomatoes and wine. But Santa Cruz is now one of Chile’s premier wine growing areas and a thriving tourist industry has grown over the last few decades with wine tours and tastings. The best places to stay in Santa Cruz provide a relaxing base to discover this scenic region of vineyards and farms framed by the dramatic Andes Mountains. The town itself has some fine restaurants and the feel is very laid back. Sightseers can enjoy the colonial architecture - Santa Cruz church, Santa Cruz hotel and the Carillon clock, which is now an interactive information centre. The Museum of Colchagua is full of interesting things and there is a casino. Wine tourism is the main draw with many places to visit, and many different wines to be sampled! The town is a busy and popular destination for tourists. So if you want to guarantee a room in one of Santa Cruz's best hotels, get organised and book early. 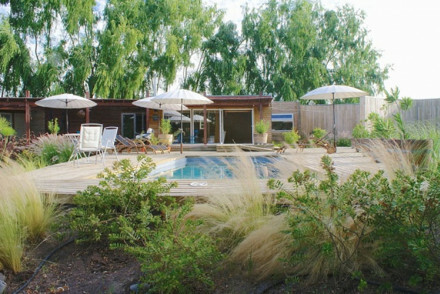 Noi Blend Colchagua is a charming hotel located a few miles out of town in the heart of vineyard country. The rooms are light and airy - rustic decor with a contemporary twist! It is a great place to either relax by the pool or stroll through the surrounding countryside. Barrica Lodge is a two bedroomed boutique hotel in a lovely tranquil spot. The rooms are simply designed with floor to ceiling windows, wood panelled walls and parquet floors. There is a large terrace and pool. This is total relaxation and escape in a blissful rural setting. Vina Vik Millahue is surrounded by its own vineyard, and offers private tours, so the perfect place for wine tasting enthusiasts. Contemporary rooms and suites, some with floor to ceiling windows and an infinity pool with jaw-dropping views. Plus there's a spa and fine dining. Hotel TerraVina is also set amid acres of vines (though not its own), but here you'll find very affordable chic accommodation. Rooms start from just £123 per night. Noi Blend Colchagua is located a few miles outside the town of Santa Cruz in Chile's wine region. There's a contemporary twist to the rustic décor and the rooms are decorated in light hues. Relax by the pool or head for a walk around the garden and enjoy the rural setting. A quiet and charming stay. 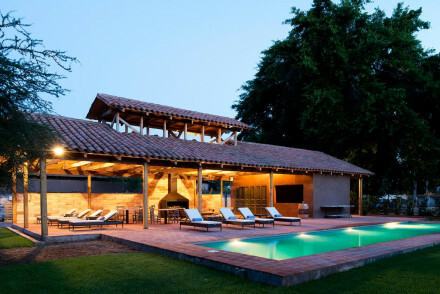 An elegant property sitting pretty amidst acres of vineyards framed by the Andes. Smart rooms are light and airy with white washed walls, polished wooden floors and large balconies. While away peaceful hours by the stunning pool and find numerous outdoor pursuits in the region. A chic choice. Active Holiday - Find an abundance of activites in the Colchagua Valley from wine tours to horse riding. Value chic - Stylish lodgings at a great price. A small boutique hotel in lovely tranquil surrounds. Simply designed rooms feature floor to ceiling windows, parquet flooring and wood panelled walls. A large terrace and pool are the ideal way to while away a lazy afternoon. For the active there's plenty of outdoor pursuits on offer. Rural bliss. Country Escape - The hosts encourage total relaxation (without TVs) in the tranquil countryside. 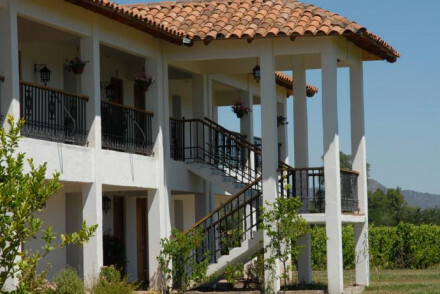 Viña Vik Millahue is situated amidst the mountains in Colchagua's Valley. It offers luxurious, contemporary full board accommodation and two restaurants as well as being surrounded by its own vineyard. Enjoy the glorious views from your room or from the infinity pool. A top-notch country escape. Views - The views are simply stunning - over the lake to the mountains beyond. 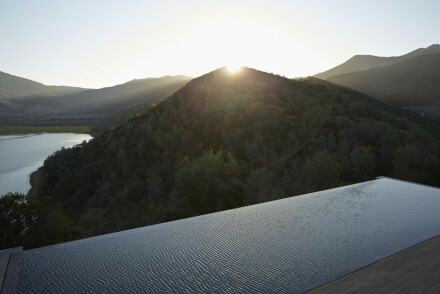 Swimming Pool - Infinity pool with panoramic views of the hills & mountains.